iMotoPilot – I pilot a moto, you should too! After months of flak-ing on my friend Ross about joining him at the track, my birthday month came to an end with a trip to the Harris Hill Raceway (H2R) in San Marcos, TX. Ross has been taking his track ready Moto Guzzi Griso there for just about a year now and he is hooked! Our riding group have been out to the Raceway to witness, from the visitors area mind you, Ross and his Italian beauty race around this 1.82-mile, 11-turn asphalt road course. The course is 36-feet wide with over 150 feet of elevation changes and a challenging mix of on and off-camber turns, including the 80-foot rise and drop – The “Santa Rita”, Turn 4, named after the patron saint of the impossible task. I’ve been playing with the thought of track racing for sometime now. Visiting the facility in the past, as an observer, you will find the precautions the track takes to make your visit as fun and safe as possible. A controlled environment is a wonderful place to learn how to “Push the limits of machine and man” (Rush – Red Barchetta). Medics, instructors and vehicle tuners are available to help you with your skill progression and safety. Yes, there are other wonderful facilities and training methods. 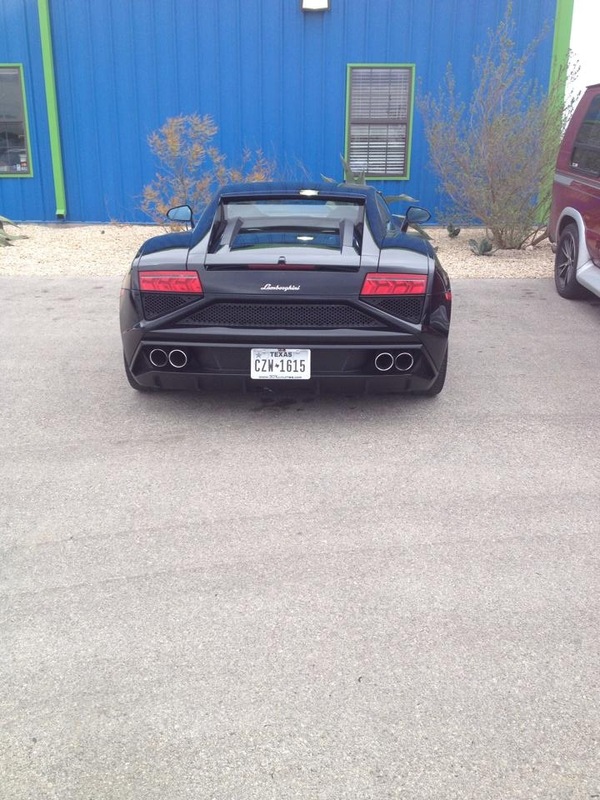 But having a facility like this so close to San Antonio, TX is awesome! Our day started fairly late in the morning since the track was not ready for use until noon. 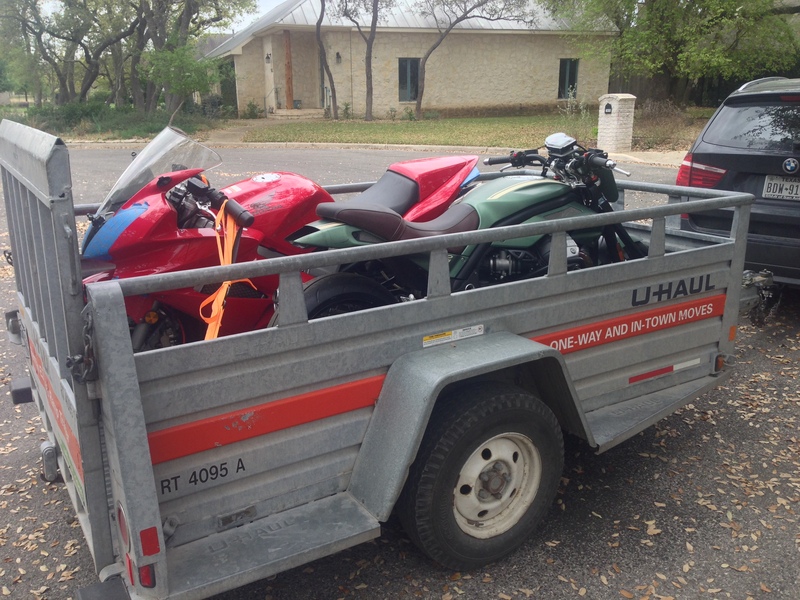 A quick, cheap trailer rental from Uhaul was all we needed to make sure if we did get into trouble. If we did get into some trouble, we can easily drive back including our bikes. I was quite impressed with the towing ability and gas mileage of my friends BMW suv. A good set of tie down straps and maybe a wheel chuck are highly recommend. Don’t cheap out like I did and pay something thin and cheap. Buy something of quality to hold your baby in place and to prevent it from getting damaged or damaging the bike next to yours during transport. I also purchase bar end tie down by Canyon Dancer. This allowed the sport bike (and all its delicate fairings) to be secured in such a way not to damage any plastics while in transport. Kudos to our local Cycle Gear for having this available. 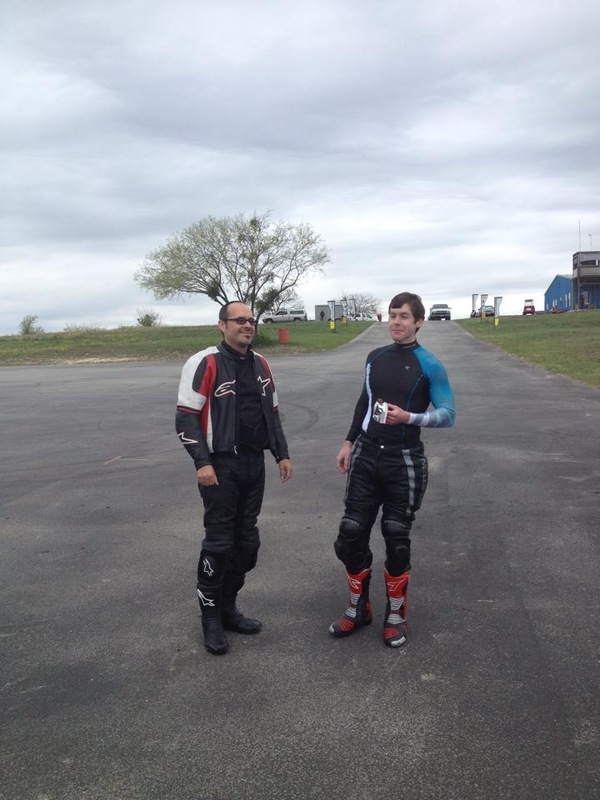 My first video is of me and my friend Ross on his gorgeous Moto Guzzi Griso, leaving the safety check area. There I found that my throttle was sticking a bit due to a maladjusted grip and my chain was too tight. Both were fixed right there using my tool kit (Thanks Honda!) As we entered the track, my first impression was the feeling of being unleashed. i was quite nervous up to this point. As I followed Ross, he allowed me to follow him for a couple of laps to make sure what the was expected of me (as instructed at the safety area). Entering the track from the pitting row requires a rider to stay on the out lane of the track to allow upcoming traffic to continue ahead you safely. Only after approaching the second turn are you able to merge into the traffic. The seasoned track riders were more than happy to oblige. For one, it was to protect themselves and the on-coming rider. Passing was not something I practiced this first day but will share as I understand it more in my next few visits. Exiting (or pitting) required upon reaching the 300 foot sign to gradually move to the outer lane and raise your left hand or foot. This would signal the approaching riders that you do not intend to continue and they can proceed safely. I didn’t edit the videos so please feel free to jump around as needed. My first few runs, I kept it to 3-5 laps to promptly return to the parking area to inspect the bike for any unusual tire wear, loosened parts, fluid levels and such. After about 10 laps in, I felt comfortable to press my ol’ 2002 Honda VFR800 a little harder and she did very well. The bike has linked front and rear brakes although the front operate independently from the rear. When using the rear brakes, this operates one of the two calipers of the front braking system. Some folks like it some folks hate it. Didn’t bother me much. The lesson of warming up your tires was instill even further in me after I witnessed one of our fellow riders low side his bike (Low Siding is when the bike brakes free from you but winds up in front of the rider with its rider behind the slide/crash. The more sought after kind of fall of most if it happens. The follow video will show this. The time marker is about 5 min in. Luckily, the rider walked away thanks to his protective gear (one piece leather suit, riding boots, gloves and full face helmet). His pride and lovely GXSR were the only ones that suffered much damage. His buddies made sure to get him back on the track with one of their bikes to avoid any kind of issues the next time he visits H2R. On another note. The anxiety I had approaching this day regarding the right gear, is my bike cool enough or fast enough to fit in were very unfounded. The crowd was very friendly. I met this one fella that was riding a mid 1990’s BMW R1100R motorcycle. By looking at it, you would be quick to discount the abilities of this bike. But paired with the passion of its rider, this guy was cooking it around the track. Just to show you, it’s not the shininess of your bike, but the passion in your heart that gets you respect. The raceway was designed for use by autos and motorbikes. When you drive up to the main parking area of H2R, you are greeted by many parked race cars on the ready for their owners return. 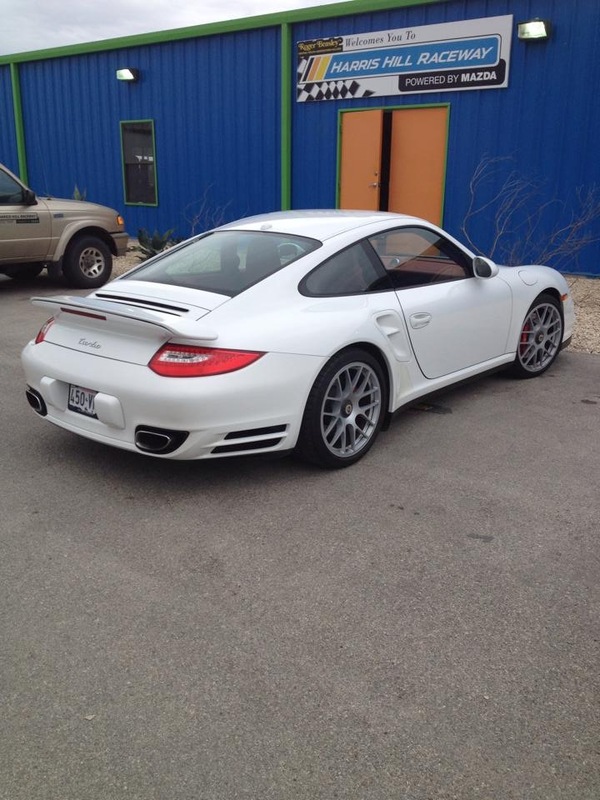 From high performance Miatas, Mustangs, Porsches, Ferraris, Lambos, open wheel cars and F1 looking rockets. Your mouth just drops with the amount of horse power that is out there at one point. I hope this was somewhat entertaining. Get some instruction, support your local track and play it safe. 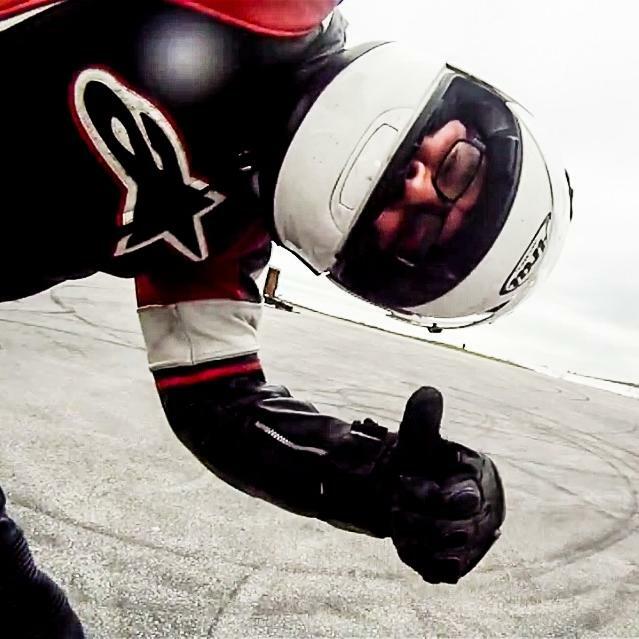 This entry was posted in Rider Training & Education, Track Racing and tagged h2r, Harris Hill Raceway, San Antonio, track day, Vfr800. Bookmark the permalink. Aerostich Roadcrafter Classic – King of Uncool But it Works!